.. a red lipstick in a cool shade with plenty of pigment. 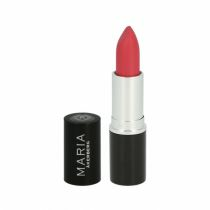 .. a coral-coloured lipstick in a warm, matte shade with plenty of pigment. .. a pink lipstick in a cool, bright shade with shimmer. Lip Care Colour Fabulous - a raspberry red lipstick in a bright, cool shade with plenty of pigment. .. a coral-coloured lipstick in a warm shade with golden shimmer. .. a pink lipstick in a cool shade with golden shimmer. .. a light pink lipstick in a cool, matte shade with plenty of pigment. .. a lovely cool rosa shimmer. Lip Care Colour Merlot is a brownish red lipstick in a warm shade with plenty of pigment. .. a purplish pink lipstick in a cool, sheer shade with shimmer. .. a dark red lipstick in a warm, transparent shade. .. a bright red lipstick in a warm, transparent shade with beautiful lustre. .. a red lipstick in a warm shade with plenty of pigment. .. a beige pink lipstick in a mild, neutral shade. .. a shimmering pink lip gloss with plenty of pigment.